for vocabulary development for The Wonderful Flight to the Mushroom Planet is broken into three parts to correspond with the flow of the book. These activities can be used in the classroom or for homework assignments. Part one: The students read quotations from the story and define vocabulary words by their context in the sentence. They check their definitions with a dictionary for accuracy. Part two: Provides experience with understanding, identifying, and using synonyms. Students match words with synonyms, and then write original sentences to demonstrate comprehension. Using the colors given for the Great Ta’s necklace, part three vocabulary drills help the children match definitions to words. Each section of this lesson plan contains approximately eight exercises and takes about fifteen minutes to complete. This lesson plan is age appropriate for ages eight to eleven, and is based on one of the more popular science fictions classics for that age group. It builds on prior knowledge gained during independent reading and classroom discussions. A word is in context if we see it in the sentence in which it was written. It is out of context when it is by itself. The following underlined words are shown in the context of the sentences in which they appear in the book. See if you can figure out from reading the sentences what the underlined words mean, and then write the meaning from the dictionary. These sentences are from chapters one to eight of the book. By bedtime, half an hour later, David had a most beautiful diagram of his space ship all finished. And he looked over to where a large, shining, complicated contraption rested on a broad shelf. Now he looked up at Chuck again and fixed him with a grave stare. “Oh, but Father," persisted David in anxious desperation, “was it Mr. Bass?" What fun it was to knock the grownups off their pins like that! “I might have said seed, but in our case, being Basidiumites, or Mushroom People, I have to say spore. Because, you see, my people develop as mushrooms do." Now he perched himself on his high stool and slowly and carefully began manipulating a number of knobs and dials. The uncharted regions of outer space! David shuddered and thought how the barren wastes of the Tibetan Plateau sounded almost cozy and comfortable by comparison. A synonym is another word having the same or nearly the same meaning as the original word. Select the word from the Word Box that is a synonym for the underlined word in each sentence. Use the underlined word in an original sentence to demonstrate understanding of the meaning. They had broken through the barrier of sound – and at this appalling speed – he and Chuck were leaving sound lagging far behind. Like points of fire they blazed in the velvety firmament. Now thinking of Mr. Bass’ wonderful inventions and of his uncanny knowledge of so many things, David all at once remembered something else that contradicted this and made his heart sink. Of course, as Mr. Bass was a Basidiumite, though of a race that had lived long on Earth, surely they would resemble him in some way or other. As they came nearer it was seen that they were not as like Mr. Bass as they’d first appeared, but rather like an exaggerated Mr. Bass. For a few seconds it was terrifying! It was green – a real green – wavering, misty. Teacher answer key: appalling/horrifying, firmament/heavens, uncanny/unearthly, contradicted/resisted, resemble/look like or similar, exaggerated/distorted, terrifying/scary, wavering/ swaying. Match the words with the definitions. Write the letter of the matching definition beside each word. All definitions will be used. By the end of this lesson plan for The Wonderful Flight to the Mushroom Planet, students have built vocabulary skills by defining words in context, created original sentences using synonyms, and matched definitions. They increased skills while reading this perennially favorite from the science fiction classics collection. 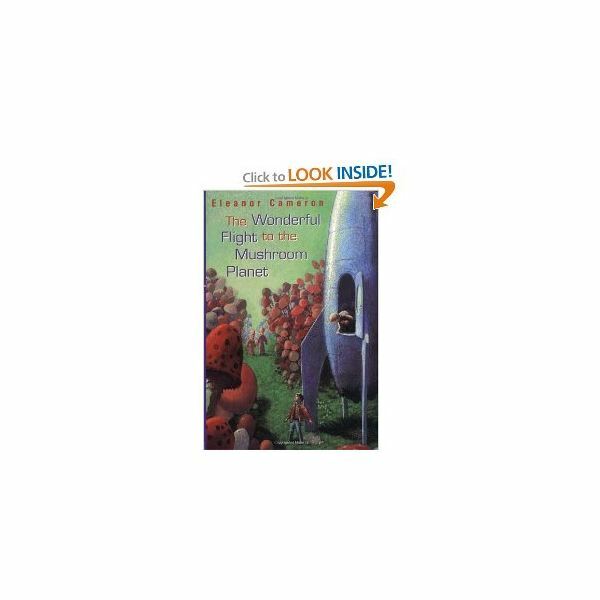 Here is a series of lesson plans for The Wonderful Flight to the Mushroom Planet by Eleanor Cameron. These lessons are age appropriate for ages eight to eleven.